The heater is an attachment for the MDFP that can be used by those in colder climates. The heater uses existing bolts to attach to the MDFP, and requires standard 120V power. 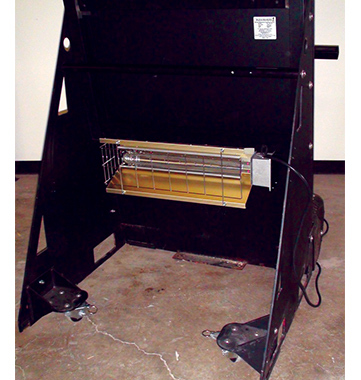 The heater ships assembled on its mounting bracket – which features a durable, anti-corrosion powder-coated finish – and can be installed by one person in approximately 10 minutes.